There're certain events and circumstances that impact our lives more than we can imagine. Unless we get out of our comfort zones and quit being proponents of a concept simply because it's what we were educated in, we'd be caught in the viscious cycle of getting up in the morning, going to work, coming home, going to bed and longing for the weekend. This will happen to us until old age renders us incapable. I've been marveled by the "job" mentality we grow up with and our delibrate refusal to look at other options. At best, we are trained to be high profile employees like doctors, lawyer, bankers and you name it. 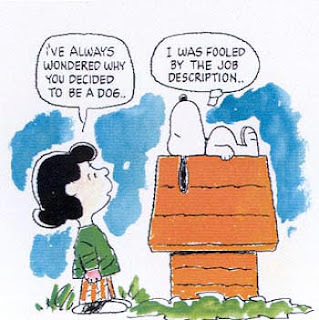 Some of us even settle for low aspirational jobs. We are trained and motivated to be loyal employees working for the State or the rich (despite the fact that there're other ways of making a living). This phenomenon has raised questions about the motive of our educational sytems. Are educational systems designed to train and provide labour force for the State and the rich? You're probably aware of the fact that earned income (compensation for working a job) is the worst kind of income. It's the highest taxed income in most countries (with the exception of socialist welfare States like Sweden). This is common knowledge. Considering the fact that earned income has been proven to be the worst kind of income, why are we encouraged to go to school get a job? The answer is simple. Governments have expenses and some people ought to pay high tax in order to help the government cover it's expenses. Needless to say, people who work for themselves (entrepreneurs) pay less tax and governments don't need too many of such people. Governments only need a few entrepreneurs to create jobs for the majority of people so that a good number of people can work and pay higher taxes. This is a bid to help governments cover their expenses. To illustrate this, in 2006, Warren Buffet (one of the richest men in America) paid 17.7 percent on the $46 million he made while his secretary who earned $60,000 was taxed 30 percent. What does this tell you? Entrepreneurs pay less tax than their dedicated employees. The bottom line is that business owners enjoy tax cuts while the dedicated and hardworking employees (who can be fired at any time) don't. For more information about Warren Buffet paying less tax than his secretary, click here. Many of us mistakening think governments have our best interest at heart especially when State officials and politicians preach about "creating more jobs". It's all a matter of national interest. The government needs people to work jobs so that they can pay the high taxes levied on earned income (the worst kind of income). The government does not create more jobs because it "loves" it's citizens. Believe it or not! The idea of "job creation" is intended to recruit workers to help finance government expenditure. That's why we're indoctrinated to go to school and get a job despite the fact that there're other ways of making a living. In the long run, working a job helps the State and the rich, not the ordinary citizens (employees). This is not bad. It's good business for the State and the rich. Have you noticed that many people work really hard, retire with a meagre pension and live a lifetime of struggle? This is because they were educated on how to work for money and not on how to have money work for them (and pay less tax). School systems intentionally/unintentionally leave out the other side of the story - business ownership. People usually don't understand the fact that business ownership is the way to go until it's almost too late. This explains why more and more people start businesses in their 50s and 60s. Don't get me wrong, starting a business is tough and risky. But owning a business is the only way to control your time, income and quality of life. A job does not help employees in the long run. Employees cannot will their jobs to their kids. Employees can't decide when and with whom to work. Someone else determines how much employees earn. Employees qualify for earned income (the worst kind of income). Well, the truth is, when you own a business; when you're the boss, the rules change!